Sometimes the best things in life happen by “accident”. You don’t really plan it – it just sort of happens – naturally, organically. I never really planned on becoming an entrepreneur. It just sort of happened. The same thing occurred with teaching. It all started with this blog. When I started blogging 4+ years ago, I had no clue what I was doing. I would mostly write about my business, but I soon got tired of that and felt drawn to write more about entrepreneurship – the journey, its lessons and how it was changing me. This led to speaking about entrepreneurship – in classrooms – to students who were considering becoming entrepreneurs themselves. 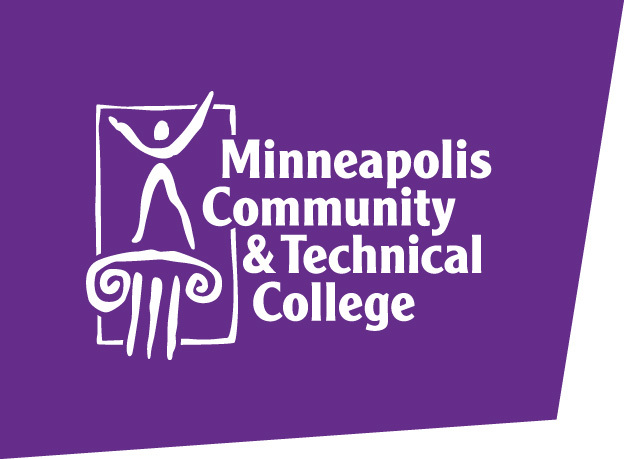 This brought me to Minneapolis Community and Technical College (MCTC). Through a series of presentations and networking connections, MCTC invited me to teach a full semester course last fall on the topic of Small Business Management. 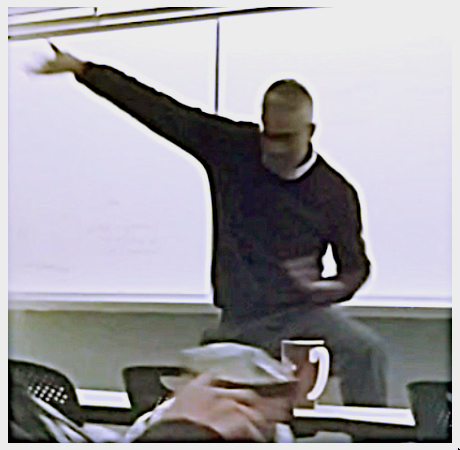 I had always dreamed of becoming a college professor and now I had the chance, but I was a bit hesitant because I didn’t want to be forced into teaching a curriculum that I could not call my own. I wanted my students to not only learn about managing a small business, but to also get in touch with what lights their fire – to pursue their passion with a whole heart, filled with meaning and purpose. That’s what it takes to build a business that doesn’t just fill your pocket, but also your soul. They asked me what I had in mind and I drummed up a rough outline. This was a dream come true – getting to teach on a subject that I was deeply passionate about, to students who were hungry for knowledge on how to start their own business. 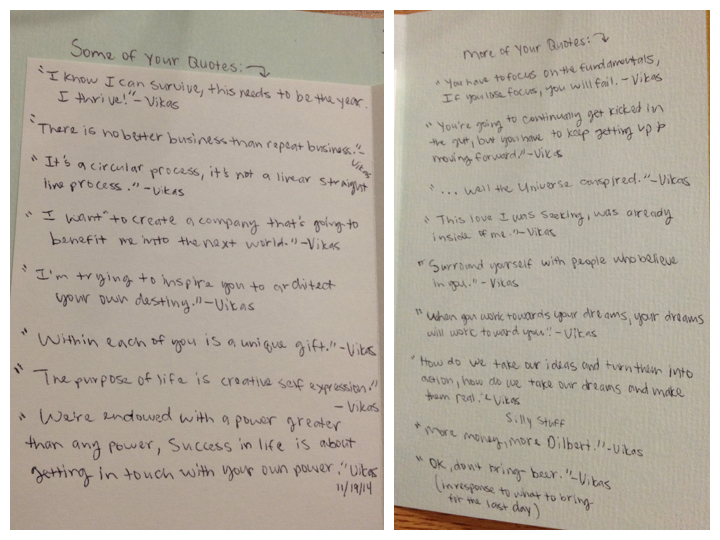 I wanted my course to be more than just a “check-the-box” exercise towards an AA degree in Business. I wanted it to be a life changing experience. And it was. For me. Yes, I designed what I thought was an interesting syllabus. I selected a great textbook. I rehearsed my course outline and came to class well prepared, but it was the students – all 35 of them – that brought the course to life. I have given many talks to very diverse audiences. I have studied at international schools with classmates from all around the world. I am a Canadian-born, American citizen whose parents immigrated from India. Despite my seemingly above-average exposure to cultural diversity, I did not know diversity until I taught my first class at MCTC. My class was remarkable because it was diverse in every demographic dimension you can think of: age, gender, race, ethnicity and socioeconomic background. I had students from South America and Asia, as well as every corner of the Twin Cities – recent high school graduates and mothers whose children were just entering college. I have written about how people are the best books, but I had never really visited this part of the library. Some of the covers looked a bit torn and dusty, but what lay written on the pages inside was rich beyond imagination – former felons, drug addicts / dealers, gangsters, victims of violence – you name it, someone in my class had experienced it. I wasn’t in Kansas anymore. This was real life. Life that I knew existed but had never really been exposed to up-close and personal. The life stories of my students were nothing short of amazing. If anyone was teaching class, it was these phenomenally resilient souls of MCTC. If you have read the book “The Start-up of You” (by LinkedIn Co-Founder, Reid Hoffman and Ben Casnocha), which was the textbook I selected for the course, you will learn that entrepreneurship is really about resourcefulness, resilience and perseverance. If you have that, you are likely to succeed. These students had it – way more than most of us. They just needed to be shown that they were already entrepreneurs, and that’s what I spent my time doing. 1) The Case for Entrepreneurship and You. Why you should consider the path of entrepreneurship. 2) Tactics and Strategies. Ok, now that I have (hopefully) convinced you, what do you do? 3) Integration of Course Concepts. You have one month to start a business – create, share and sell something. Generate revenue and outline a path / timeline to break-even. Document your journey and share it with the class in 20 slides, using only pictures. This was worth 50% of their grade. If they didn’t show up for their presentation, they didn’t pass. Each student participated in the grading of their peers. Their grades were crowdsourced. They had to impress not only me, but their classmates. While there was significant push back from the class regarding the “start your own business” part of the course (compressed time-frame, etc. ), most of my students passed with flying colors and exceeded my expectations with their creativity, ingenuity and presentation skills. Some of them went from not knowing what they were going to do, to generating $300-$400 in revenue per week, with no upfront financial investment. They were doing this by leveraging their existing skills, talents and passions. One student was an artist at heart and she decided to create original, handmade encouragement cards for recovering addicts. Another leveraged his football coaching skills to open an independent linebackers coaching clinic for underprivileged youth. Others learned how to leverage Facebook to spread the word about their self-made products and some increased revenue multi-fold within weeks. There was success all around. More importantly there was a genuine, palpable feeling that anything was possible. That they really could architect their own destinies and their pasts didn’t have to dictate their future. One course isn’t going to change everything, but it might help shift a person’s trajectory in a positive, purposeful direction – to serve as a bold reminder – a catalyst to help launch / reinvent one’s career. One of my students was a successful engineer, making good money, supporting a family. He was very skeptical about entrepreneurship and the idea that you could love what you do AND make money to support an expensive lifestyle. He had no interest in entrepreneurship and was just there to “check the box”. He was taking business classes to boost his resume and get promoted into management. He challenged me often and questioned my impassioned calls for them to look into their hearts and bring forth the highest vision of themselves. I was so taken by his comment and change of heart that I paused, opened my laptop, piped this song through the classroom speaker system and danced in front of the whole class. I tried to get the students to join in, but they seemed more interested in taking pics of the goofball. I felt like I had achieved what I set out to do. I had even converted some of my most resistant skeptics. On the last day of class, the students presented me with a thank you card. Inside was a list of “Vikas quotes”. One of the students had been writing down various things I said throughout the course. She compiled and included the ones that stood out for her. Did I really say all that? I need to read and remind myself of these words everyday. I have a lot to learn and these students taught me so much. They gave me perspective and compassion. They expanded my heart and increased my desire to do good. The beauty of MCTC is that they serve the underserved. Ten percent of their student body is homeless. And yet, I cannot think of students that are more fit for entrepreneurship. Why? Because entrepreneurship is the story of resilience, resourcefulness and perseverance. 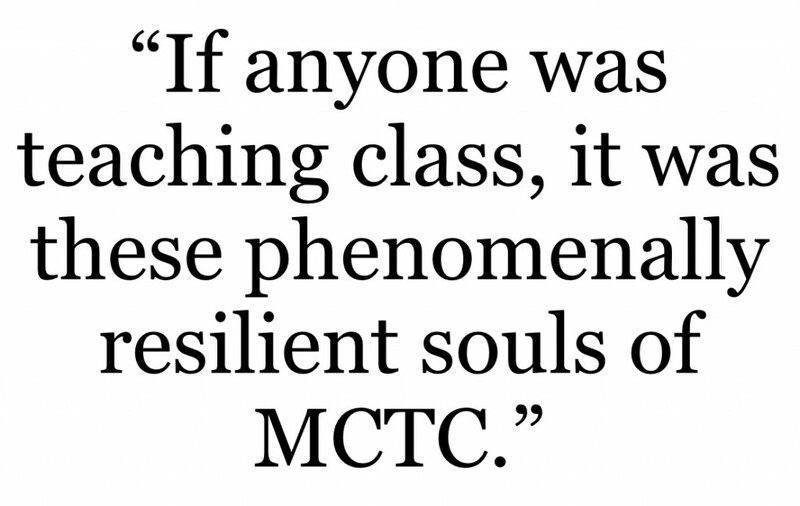 And you will not meet a more resilient and resourceful group than the determined students of MCTC. If anyone is going to change the world, it will be people like them. Early in the course, one of my students was run over by a car. He should have died, but miraculously he was saved. He was severely injured and I thought for sure he would drop the course, but he kept coming (in a wheelchair, crutches, cane, etc.) and finished the class with high marks. If you want to be inspired, if you want to broaden your perspective and transform your thinking, take a class or two at MCTC. Mingle with, and get to know, your fellow classmates. You won’t be disappointed. If you want to light your heart on fire, consider taking my class. I would love to see you there. I am teaching again this fall and I can’t wait. Vikas is passionate about purpose-driven entrepreneurship and teaches on the subject at Minneapolis Community and Technical College. Very moving! I think all teachers do learn from our students, but when they take us outside of our comfort zones and expectations, even more so. Thank you, Janet! I agree. I agree with Janet. This is very moving. Thank you for reading and thank you for the feedback! Ok, now I am REALLY excited about this class. I have taken so many community college classes where the diversity of the students (and their opinions!) isn’t used to enrich the class further. Glad to learn that won’t be the case in your class. Yes, we will learn so much from each other. Can’t wait to meet you in class. Thanks for reading and sharing your thoughts.